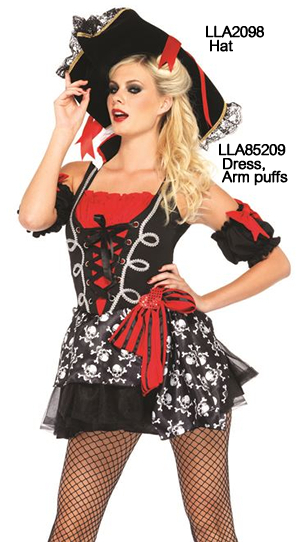 Dress and arm puffs set. Silver braid trimmed dress with halter collar and peasant bodice, attached foil print skull sash with striped bow. ストッキングは含まれません。 別売 ハット LLA2098.